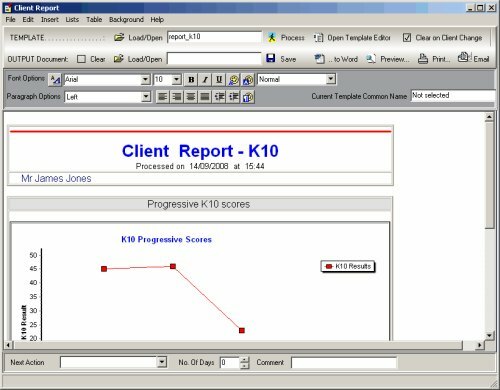 Developer: Psych Technologies Pty Ltd.
PsychPack is a comprehensive suite of practical software designed to help mental health practitioners improve their practice and client management. 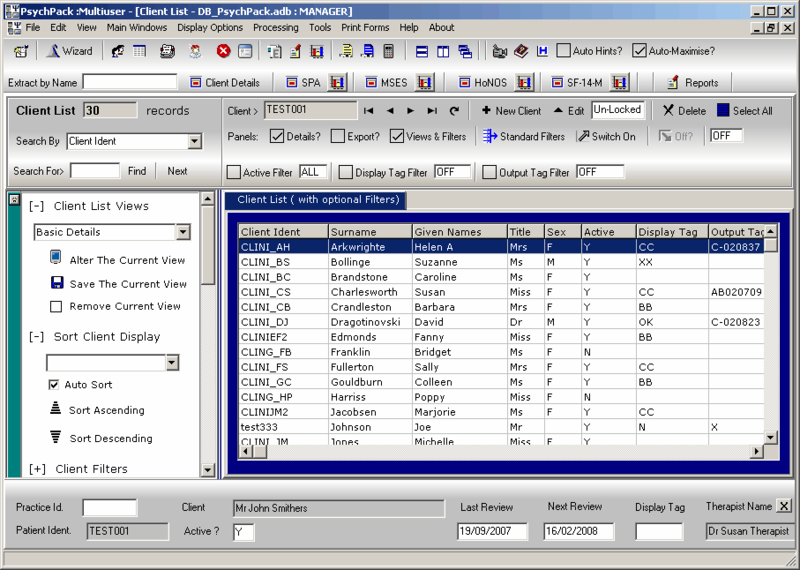 PsychPack facilitates the collection, storage and analysis of client mental health information and test results. PsychPack includes a database that stores large amounts of information securely, ensuring strict confidentiality. PsychPack will transform your professional standards by improving client record keeping, aiding compliance requirements under the Medicare Mental Health Care Plan scheme, tracking and monitoring efficacy of client interventions, utilising convenient patient assessment tools and delivering efficient reporting options. PsychAssessor is an essential tool to collect client ID and demographic data, select questionnaires, write quick reports for clients under the Mental Health Care Plan and assess client progress. PsychMinder records client information including diagnosis, assessments and reviews, searches for clients, writes simple to complex reports with a choice of various reporting and template options. PsychAnalyser provides a simple, affordable research tool to analyse the simplest to most complex data using pre-set or your own templates to interrogate the database. Create, save and export. 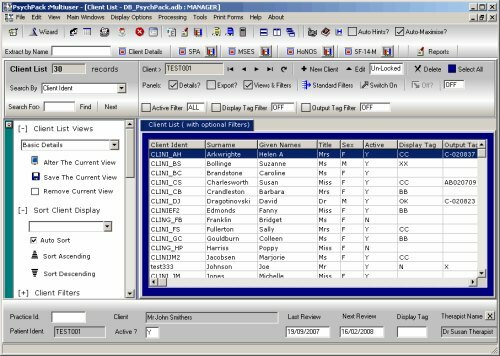 PsychBiz will provide an integrated client appointment diary, billing and client management system perfect for managing day-to-day practice administration functions.